Let's give back a little! A dear friend of mine introduced me to an amazing company called the Green Beans Coffee Company and this absolutely fantastic and patriotic program they have. It's called Cup of Joe for a Joe. You can go to their website and purchase as many cups of coffee as you'd like and this company will send it (or them) to a random soldier! It could be ANY soldier on ANY base ANYWHERE around the world! I have been sending cups of coffee to soldiers when I have a couple extra bucks to spare! I have gotten messages from soldiers all over the world thanking me. I tell ya, they LOVE it! It's such a simple, easy and comforting way to send your appreciation and gratitude to someone who is protecting your freedoms and rights. Why am I telling you about this? Because I'm giving YOU a chance to help out! For every pattern that is purchased between today (7/17/15) and 11:59 PM CST on Monday (7/20/15) I will donate a cup of coffee through the Green Beans Coffee Company!! If you fabulous crocheters buy 100 patterns, I'll be sending 100 cups of coffee!!! To make matters sweeter, You can get your patterns for 40% off!! 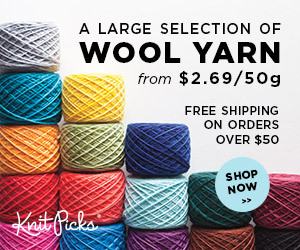 Just use the code BlogHop when you put the patterns of your choice in your cart! Click on the picture for a link to the Green Beans Coffee Company website if you're interested in donating more coffee!